Good afternoon, dear readers! I have another quick post from Cosmoprof North America to share with you today! 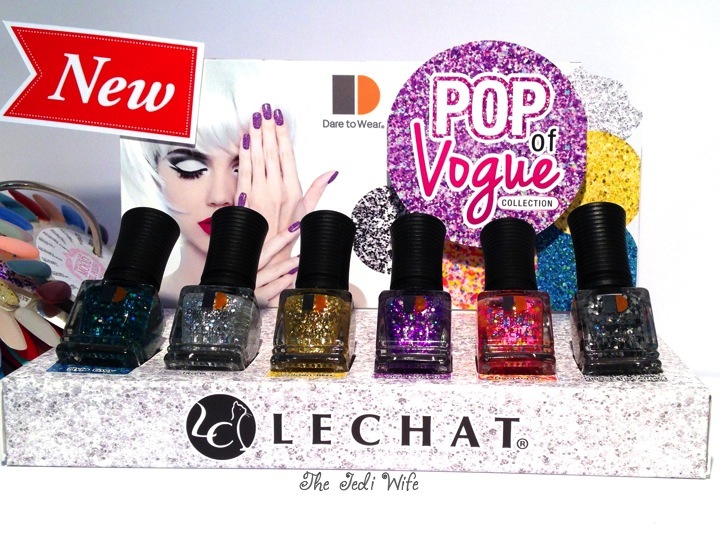 Today's post features LeChat Nail Care Products. The people working at the booth were really busy when I stopped by, but I did snap a photo of their new Pop of Vogue collection. I love wearing glitter on my nails, and these are such great shades! Ranging from darker to brighter colours, the Pop of Vogue collection has something for everyone to enjoy. I am smitten with this one! I hope you enjoyed this afternoon's post! Stay tuned as I have another post coming up featuring an indie brand and maker that I had the pleasure of meeting at Cosmoprof! Until next time, have a wonderful day! XO!